Professor Ryba is a computational biologist with interests in epigenetic regulation and applying computational methods to study the biology of human disease. His research examines relationships between genome structure and function, with a focus on large-scale domain regulation and misregulation in respiratory disorders and pediatric leukemia. 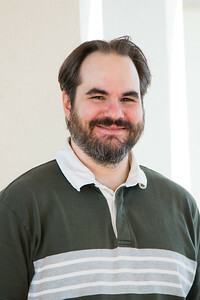 He enjoys teaching the theory and practice of deriving information from biological data, and participating in related ISPs, tutorials, and collaborative projects. Pope, B.D., Ryba, T., Dileep, V., Yue, F., Wu, W., Denas, O., Vera, D.L., Wang, Y., Hansen, R.S., Canfield, T.K., Thurman, R.E., Cheng, Y., Gülsoy, G., Dennis, J.H., Snyder, M.P., Stamatoyannopoulos, J.A., Taylor, J., Hardison, R.C., Kahveci, T., Ren, B., Gilbert, D.M. (2014) Topologically associating domains are stable units of replication-timing regulation. Nature 515: 402–405. Mouse ENCODE Consortium. (2014) A comparative encyclopedia of DNA elements in the mouse genome. Nature 515: 355–364. Takebayashi, S., Lei, I., Ryba, T., Sasaki, T., Dileep, V., Battaglia, D., Gao, X., Fang, P., Fan, Y., Esteban, M.A., Tang, J., Crabtree, G.R., Wang, Z., Gilbert, D.M. (2013) Murine esBAF chromatin remodeling complex subunits BAF250a and Brg1 are necessary to maintain and reprogram pluripotency-specific replication timing of select replication domains. Epigenetics & Chromatin 6: 42. Ryba, T., Battaglia, D., Chang, B.H., Shirley, J.W., Buckley, Q., Pope, B.D., Devidas, M., Druker, B.J., and Gilbert, D.M. (2012) Abnormal developmental control of replication timing domains in pediatric acute lymphoblastic leukemia. Genome Research 22(10): 1833-1844. Takebayashi, S.-I., Dileep, V., Ryba, T., Dennis, J., and Gilbert, D.M. (2012) Chromatin-interaction compartment switch at developmentally regulated chromosomal domains reveals an unusual principle of chromatin folding. Proc Natl Acad Sci USA. 109(31): 12574-12579. Mouse ENCODE Consortium. (2012) An encyclopedia of mouse DNA elements (Mouse ENCODE). Genome Biol. 13(8): 418. Ryba, T., Hiratani, I., Sasaki, T., Battaglia, D., Kulik, M., Zhang, J., Dalton, S., and Gilbert, D.M. (2011) Replication timing: a fingerprint for cell identity and pluripotency. PLoS Comp. Biol. 7(10): e1002225. Ryba, T., Battaglia, D., Pope, B.D., Hiratani, I., and Gilbert, D.M. (2011) Genome-Scale Analysis of Replication Timing: from Bench to Bioinformatics. Nature Protocols 6(6): 870-895. Ryba, T., Hiratani, I., Lu, J., Itoh, M., Kulik, M., Zhang, J., Schulz, T.C., Robins, A.J., Dalton, S., and Gilbert, D.M. (2010) Evolutionarily conserved replication timing profiles predict long-range chromatin interactions and distinguish closely related cell types. Genome Research 20(6): 761-770. Hiratani, I., Ryba, T., Itoh, M., Rathjen, J., Kulik, M., Papp, B., Plath, K., Dalton, S., Rathjen, P.D., and Gilbert, D.M. (2010) Genome-wide dynamics of replication timing revealed by in vitro models of mouse embryogenesis. Genome Research 20(2): 155-169. Hiratani, I., Ryba, T., Itoh, M., Yokochi, T., Schwaiger, M., Chang, C.-W., Lyou, Y., Townes, T.M., Schübeler, D., and Gilbert, D.M. (2008) Global Reorganization of Replication Domains During Embryonic Stem Cell Differentiation. PLoS Biology 6(10): e245.